Hi Everyone! 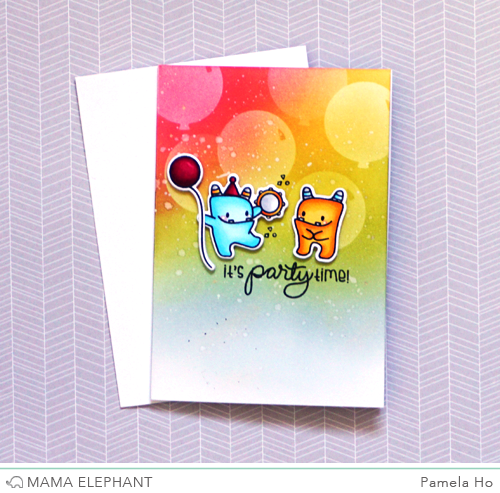 Welcome to Day 1 of Stamp Highlights! For the next few days we are going to showcase our fabulous Design Team's projects for each stamp set! Today they are making SOME NOISE with Monster Jam! 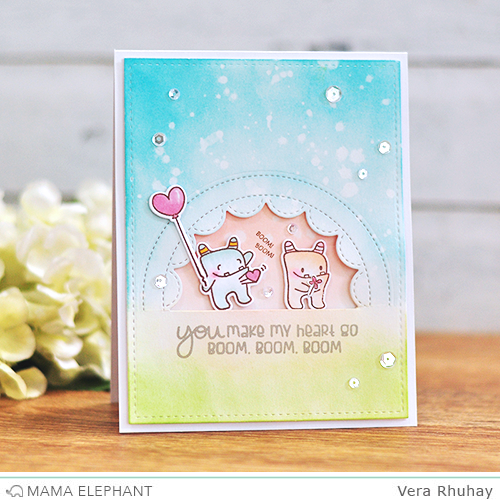 Cutest scene by Vera using partial die cutting technique and pastel color choice. Pamela used the reverse stamping technique so the monsters are facing each other. We love the colourful party background she did with the balloon dies from the Framed Tags - Columbus Circle.! 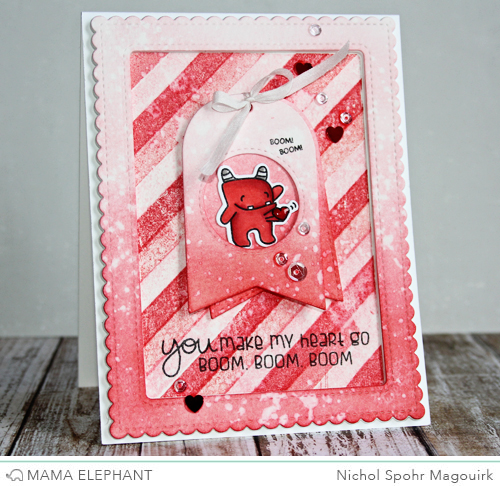 Nichol highlighted one of the monsters inside the Framed Tags and Madison Avenue Frame with reds and pinks for a love-filled card. 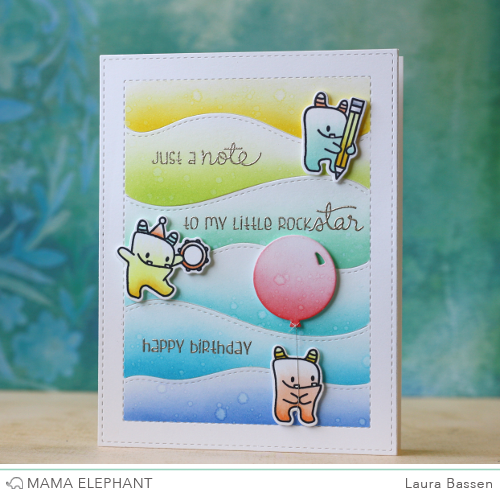 Laura created a colorful birthday scene using the new Hillside Cover creative cut and balloon from the Framed Tags - Columbus Circle. 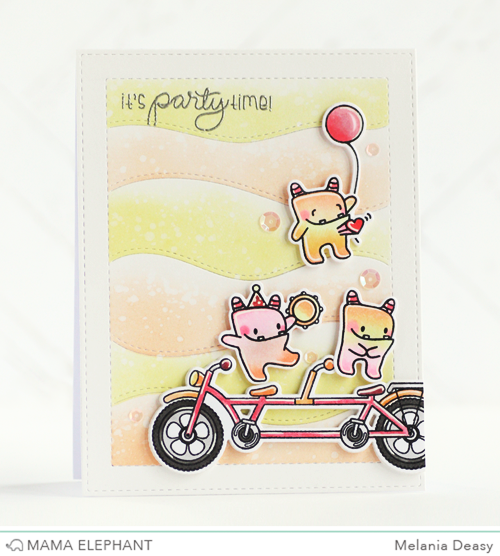 We love how Deasy made a cheerful scene with cute monsters on a bike! Wow!!!! Adorable projects! Love, love, love! I love all the colors on the cards! I am a lover of all things colorful. Nice job guys! This set of little monsters is adorable...will be my next purchase! Love all their cards. Too cute! I love these little monsters as well as the hillside die... I have them on my wishlist!